- 42% of B2B marketing professionals state that a lack of quality data is their most significant barrier to lead generation. - 24% of marketers don't know whether their efforts resulted in closed-won deals. 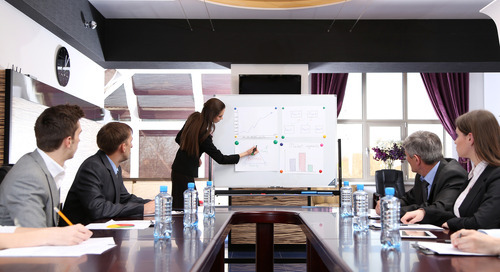 To be successful in developing marketing strategies that strike a chord with your target audience, you have to introduce your team to data sources that will help them make well-informed and strategic decisions. Read on for five must-have data sources that can increase the efficiency of your marketing team. One of the best ways to determine how customers are interacting with your brand is by monitoring their engagements with the company webpage. Web analytics allow you to understand the content that is resonating with customers, mediums that are bringing them to the site, and the exact pages they are visiting while they are there. Web analytics can inform any digital marketing strategy, especially when it comes to creating content. Creating personas based on demographic and location information is essential to any marketing strategy. Having access to U.S. Census Data enables marketing teams to analyze who their target market is, and the external factors that could contribute to who these people are. Teams can use sample data to define who their ideal customer should be, and can also combine location data with demographic information to zero in on where they should put their efforts. Go even further by combining this data with that from your customer relationship management (CRM) solution to understand how your current customer set compares with the nation. To do this well, make sure your CRM can import census data or that you can export customer data sets to a BI tool to manipulate. Need suggestions? Find a recommendations for a flexible CRM here. Mastering SEO is crucial to getting your company’s web material in front of your target audience. To do this correctly, it makes sense to take a look at keyword trend data to find out which keywords your website can rank for. Programs like Google Trends and Moz can provide vital insights into related keywords that are popular among your target audience. It keeps marketers from flying blind when they create a new blog post or website copy. Are you posting information at the right times? When is your target audience the most active on a particular platform? How often should you post? Taking a look at social media analytics can help your team create an effective and well-informed social media marketing strategy. 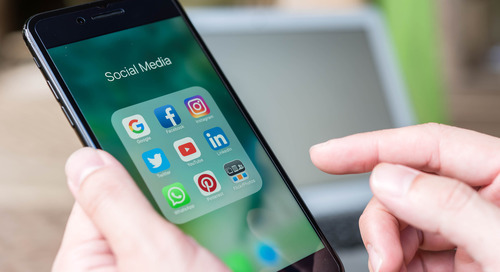 To gain even more detailed insights, it makes sense to connect this data with web analytics to see which social media platforms are attracting the most attention to your web content. While micro-level stats are vital, it does not hurt to take a macro approach to market research. You might be rolling out a new product, but economic and employment conditions could make you narrow your target or alter your research. Data from the Small Business Administration website provides valuable insight into the current state of the economy, population trends, and small business conditions. Pro Tip: Market Share pages from Datanyze is another great source for market research. There you'll find accurate and up-to-date information & insights into industry trends, rising technologies, and key competitors. Data is one of the most valuable resources a marketer has at their disposal. It is challenging to move forward with any marketing strategy without insight into your audience. Having access to the right sources of data enables you and your marketing team to compose content, intelligently conduct product rollouts, produce email marketing campaigns, market events, and broadcast offerings that your audience will respond to. Any savvy marketer knows that data is their friend, and having access to the correct sources will take any marketing strategy to new heights. Chanell Alexander is a writer for TechnologyAdvice. She is a freelance writer and digital marketing strategist. She has over seven years of experience in the nonprofit field, and enjoys blending innovative technology solutions with communications. When she is not writing, Chanell enjoys traveling, contributing to video game blogs, and embracing her inner foodie. See what else Chanell has been up to on her LinkedIn and Twitter.